Cyrus "Joe" Brannon was the second child born of the late Sammy and Mary Brannon and Benjamin and Ruby Macon. He was birthed in Early County, Georgia, on August 16, 1950. Joe joined Live Oak African Methodist Episcopal Church in Donalsonville, Georgia, at an early age. He was a graduate of Seminole County Training School in 1968. After graduation he moved to Brooklyn, New York, and met the pride of his life, Betty Jean Johnson; to their union two children were born. Joe worked with the New York City Housing Department as a Heat Plant Technician, retiring as an Assistant Superintendent, and he also drove a New York City taxi. He had a love for sports, coached Little League Baseball, and loved playing cards and fishing. Joe also was an amateur boxer in New York for a short period of time. 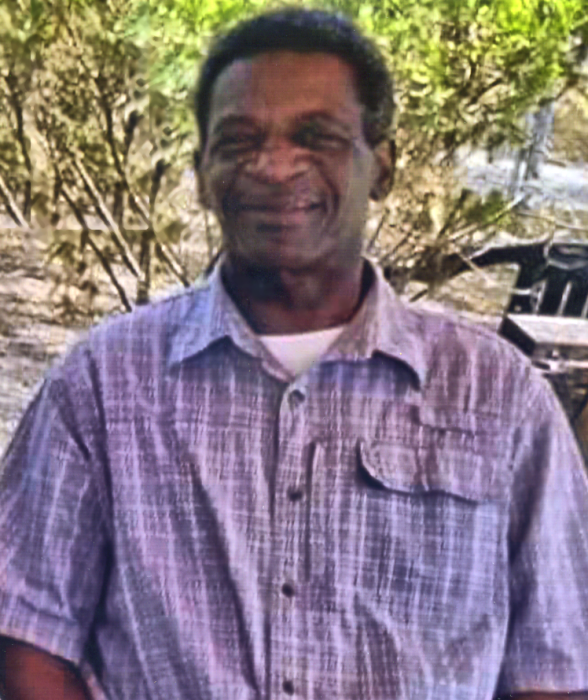 After a short illness, Cyrus Joe passed away on Thursday, January 31, 2019, at Southeast Alabama Medical Center in Dothan, Alabama, leaving behind precious memories with those who loved him and many whose lives he touched. He was preceded in death by his brother Randolph Macon, sister Jamile Macon and sister-in-law Robertsen Jackson. Cyrus Joe leaves a loving wife, Betty Jean Johnson Brannon of Brooklyn, NY; two sons, Steven Brannon (Danielle) and Ahmad Brannon, both of Brooklyn, NY; one daughter-in-law, Ramisha Steele-Brannon of Brooklyn, NY; one granddaughter whom he loved dearly, Arayah Brannon; eight brothers: Samuel Brannon, Thomas Williams (Arthea), both of Donalsonville, GA, Bobby Brannon of Enterprise, AL, Tony Brannon of Thomasville, GA, Hildreth Macon of Florissant, MO, Benjamin Macon Jr. of Fayetteville, GA, Jeffery Macon (Theresa) of Pansy, AL, Jonathan Macon (Kim) of Keller, TX; five sisters: Mary Alice English of Providence, RI, Rheunnette Hair, Debra Brannon, both of Donalsonville, GA, Dr. Delores Lenard (Willie ) of Montgomery, AL, and Jennifer Macon of Florissant, MO; two aunts, Annie Jean Nesby of Newark, NJ, and Christine Jones of Los Angeles, CA; three brothers-in-law: Nathaniel Brown, Willie Johnson, and James Jackson of Brooklyn, NY; two sisters-in-law, Delores Brown (James) of Smyrna, DE, and Janice Macon of Anaheim, CA; a special friend, Jeanette Henry of Donalsonville, GA; a host of nephews, nieces and cousins; and many, many sorrowing friends.